Classical Feng Shui is a tradition that reaches back more than three millennia with its current, mature form having been established 1500 years ago. This 3500 year old art and science of Classical Chinese Feng Shui is to be contrasted to the Westernized version developed in the 1990s. 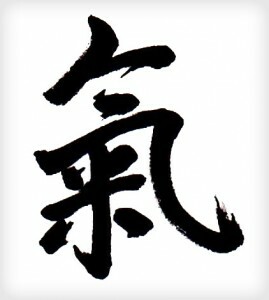 The term “Feng Shui” literally means wind-water (direction-energy) and dates from the 3rd century. It is understood to represent the directional flow of energy, a recognition that nothing in the world is in stasis, that all around us there is a flow of energy that we can either impede or incorporate into our own dynamism. Classical Feng Shui principles facilitate the productive coursing of energy through the conduit of our life. Unlike the simplified Western “Art of Placement”, Classical Feng Shui is a living science that utilizes one’s natural environment based on the site’s landforms, the Five Elements, architectural design, the building’s inhabitants, directions, and temporal placement. Mountains and water forms are examined in one’s local setting to identify the flow of energy. Your luck and success in life is based on the Cosmic Trinity (Tien-Di-Ren) which consists of three equal parts, Heaven, Earth and Human energy. The Heavenly Qi, Tien, is the movement and cycles of the planets, the Sun, the Moon, and how they affect human beings; it is our destiny. The second third is The Earthly Qi, Di, the environment itself, our homes and buildings, their orientation. This is Feng Shui, the way to use energy, the forces of nature to increase our opportunities and better our life as part of the Earthly Qi. The last third is The Human Qi, Ren, which is the human body, the meridians and energy fields, the soul and mind, the intellect, our personality, our own actions, efforts, perseverance, work, and beliefs. As the proper flow of healthy blood through the body gives the cells their vitality, the proper flow of qi in our environment vitalizes life and its inhabitants. Classical Chinese Feng Shui is designed to stimulate good fortune in our Earthly Qi. Feng Shui is not a miracle cure but when used properly with the One World Feng Shui highly personalized approach, it can bring amazing results to your life by clearing away blockages and carve channels of benevolent energy in your wealth, health and relationships.